I met Klaus when we were both working at Hidcote as part of the garden team. 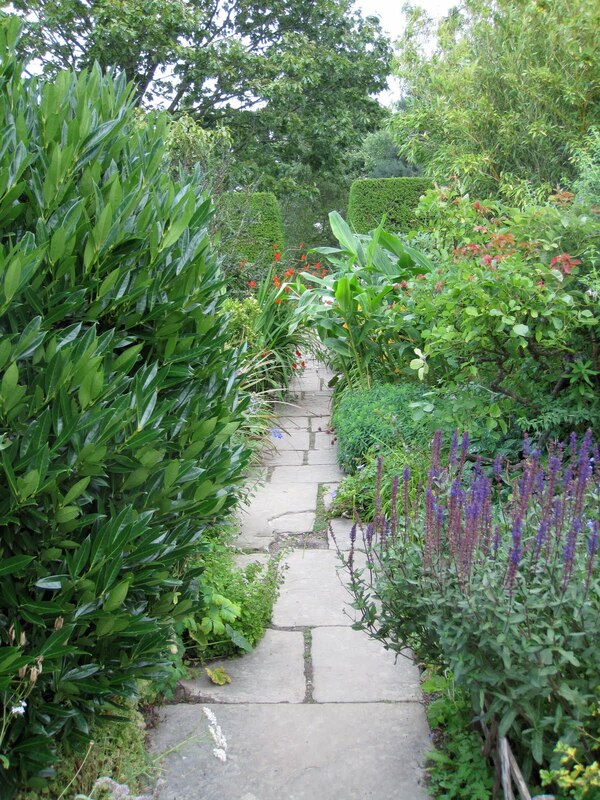 I came from Nymans and Klaus from Great Dixter. We had a chance to compare notes and I asked Klaus to give me an idea of what it was like to work at Dixter. Dixter is a working garden. You can see evidence of this everywhere. 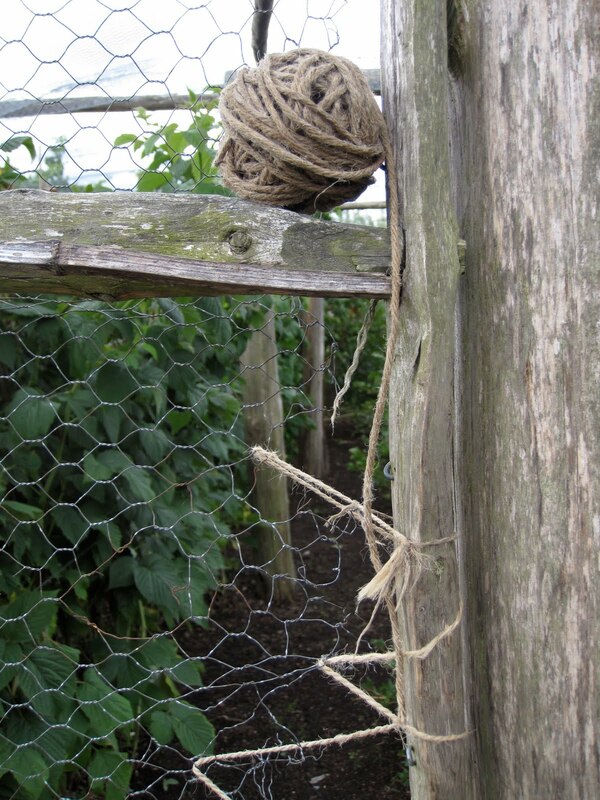 Above: The gate to the veg garden. 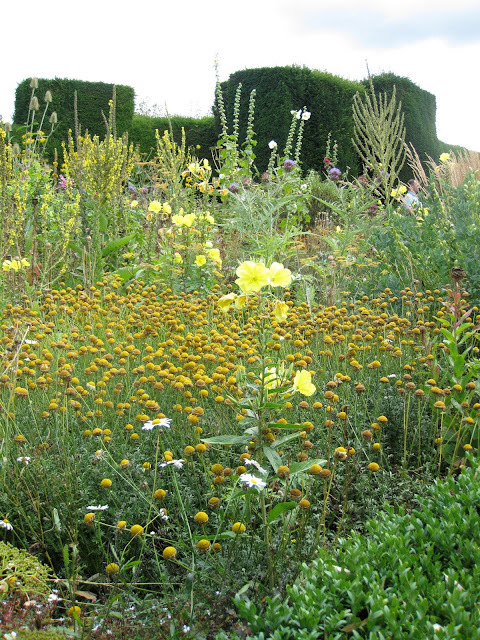 PO: Can you describe what it was like to work at Dixter on a day to day basis? K: It was an amazing journey, from day one I was given interesting and challenging things to do. I never felt I was given lesser work, just because I was a student. Very often we work in little groups of two or three, but for big stuff all of us would work together. The work was incredibly varied, not only did I learn how to dig or how to mulch, how to mix soil or how to propagate, but also how to choose plants and how to lay them out, the secrets of succession planting and much more. A Dixter trademark: Expect the unexpected. Every job was explained properly, and there was always a very open atmosphere, critical questions or suggestions were always welcomed and answered. 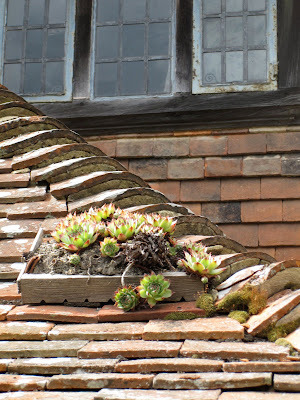 A little "green roof" at Dixter. 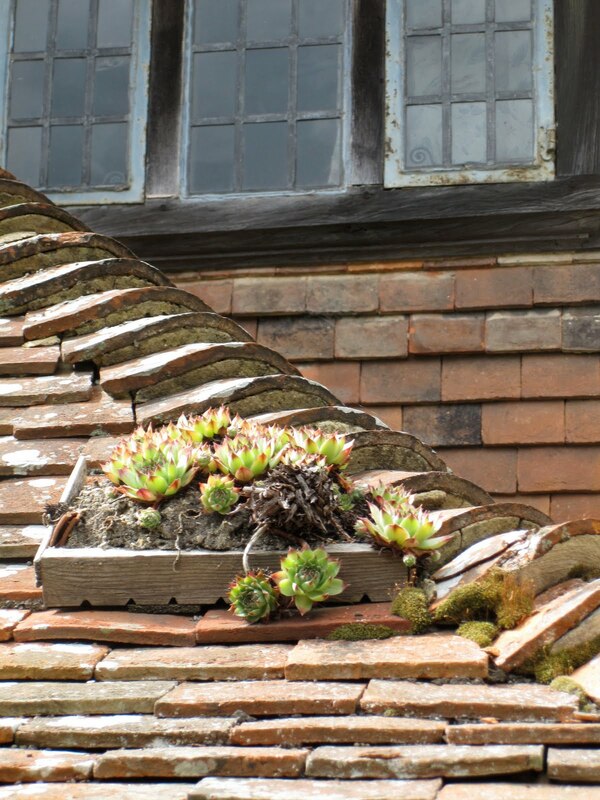 Unexpected combination of plants grown in pots is an indication of the quirky, surprising plantings at Dixter. PO: Can you talk about your impressions of the garden? The way it is planted? To many people it looks like chaos. K: Great Dixter is a plantsman garden. There is a story behind every plant. Christopher Lloyd always wanted to have an exciting garden, full of unusual plants and plant combinations, surprising, highly experimental and full of contrast. 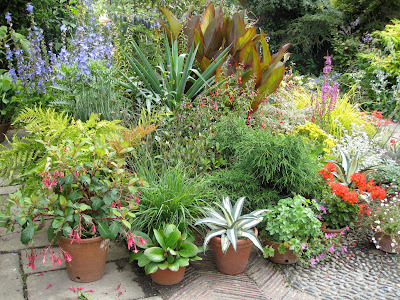 We are constantly trying out new combinations in many parts of the garden and some are replanted every year. The paths at Dixter are narrow. You feel enveloped in the garden. There are lots of bedding areas and succession planting is very elaborate. At the same time we rely a lot on self-seeding annuals, which, carefully edited, give the garden a very casual, wild look. I think I really appreciate the complexity of the planting. It is necessary to see how it changes during the seasons. PO: If you like Dixter, why? What about the garden itself? or is it the people? or both? K: I like Dixter for many reasons. The people are just amazing and it is an incredibly busy place, things are changing, projects are launched, changes are made. It is buzzing with people that come to see what we are doing or just pop in, because they are friends. 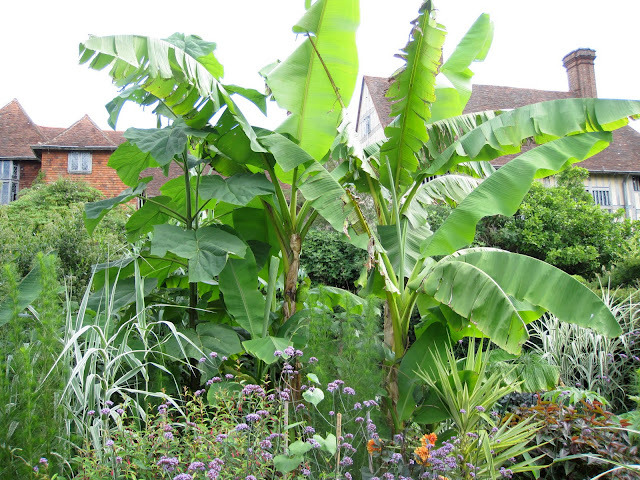 the garden is wonderfully varied: there are meadows, orchards, exotics, vegetables, and then all those fantastic plants that have been collected for almost a century. Then of course, the feeling of experimentation, the constant trying of new things. The exuberance at Dixter is overwhelming. 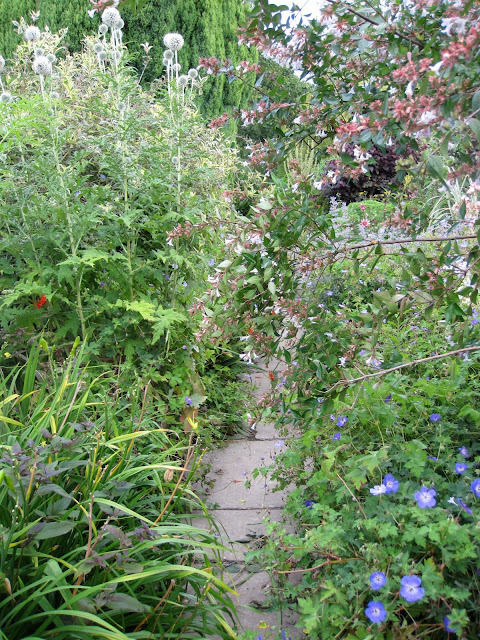 The paths are narrow, you feel like you are almost part of the garden. PO: Do you think Dixter is an "English" garden? K: This is a difficult question. 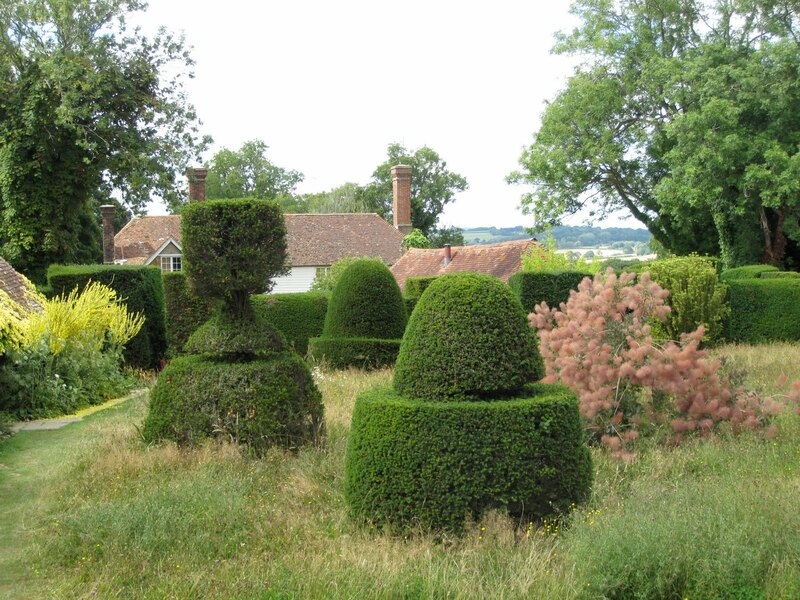 What is a typical English garden? 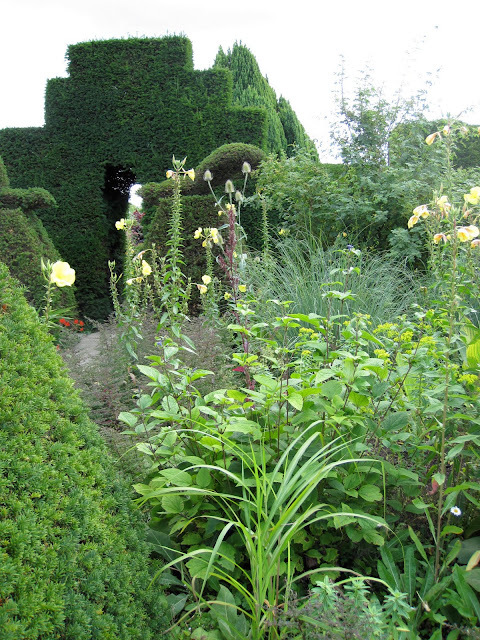 Are the rooms created by Lawrence Johnson at Hidcote typical of English gardens? The mixed border at Dixter is a feature of lots of English gardens, but at the same time it has a very contemporary feel, with all its wildness and meadows coming right up into the garden. Maybe it's English, in its individuality and its independence of fashion, in the amount of love and work that has been put into it and the respect for its heritage. Klaus, like many fellow gardeners, is a "career changer." He started attending lectures at the Koenigliche Gartenakademie in Berlin. He worked in Isabelle van Groennigen's nursery. This lead him to lectures for Llndscapearchitects at the University. He worked in the studio of Gabriella Pape and then applied to Dixter. As many of us have found, working in a garden is a great education. 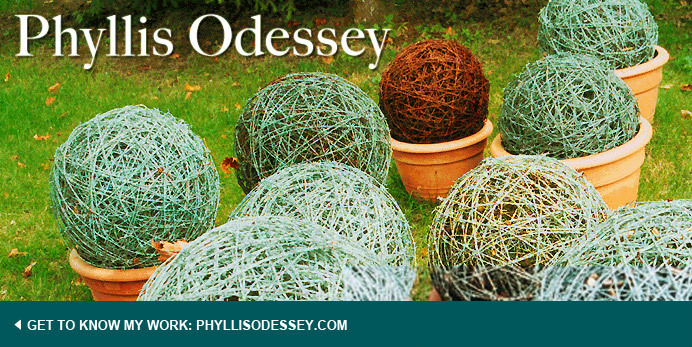 All photographs copyright Phyllis Odessey. No usage without permission.